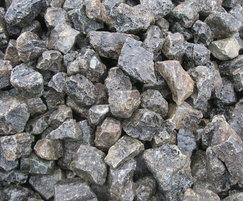 Blast furnace slag filter media are typically used for biological percolating filters. 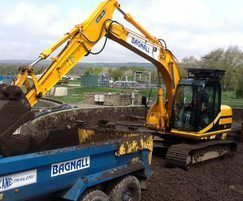 Over the years, Bagnall Construction has developed an efficient method of installing the media, which minimises crushing and compaction. The media is hauled to site and screened to remove any dust caused by transportation. The media is then conveyed into the bed using the company's Telebelt TB80 truck-mounted telescopic conveyor. This is a very quick and efficient method, which ensures that no weight is put onto the media during installation, avoiding any compaction. The media is conveyed into the bed at a shallow angle, rather than being violently dropped into position. Bagnall can remove media from even the most inaccessable filters. Existing media can be recycled. 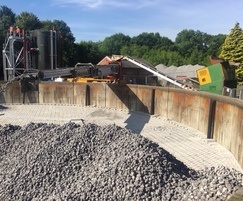 When refurbishing existing beds, if the media is in a reasonable condition, it can be excavated, cleaned on site and replaced into the filter. 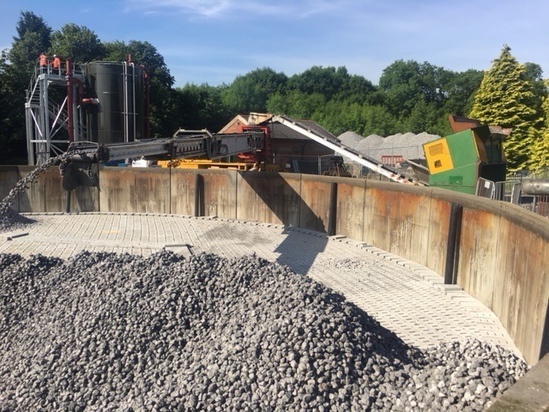 Bagnall Construction supplies and installs filter bed drainage tile and vent systems and blast furnace slag filter media for biological percolating filters. 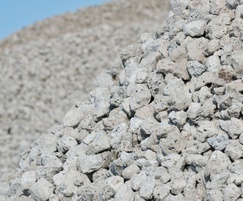 Filter media is supplied in 14/32, 20/40, 32/50 and 40/63mm grades.